This morning was a late start day. I didn’t wake up until after 10:00! Once fully awake I put together the grocery list for the holiday treats I plan to make this weekend. 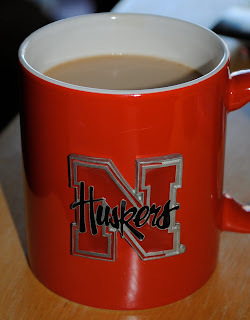 Wasn’t really that hungry so just had a coffee (in my Nebraska mug, Go Suh!!!) with some peppermint creamer. Patrick and I got hungry around 2:00 so I made (heated up) popcorn shrimp. This shrimp was purchased from Whole Foods. The brand is Blue Horizon Organic and I was really looking forward to trying it out. 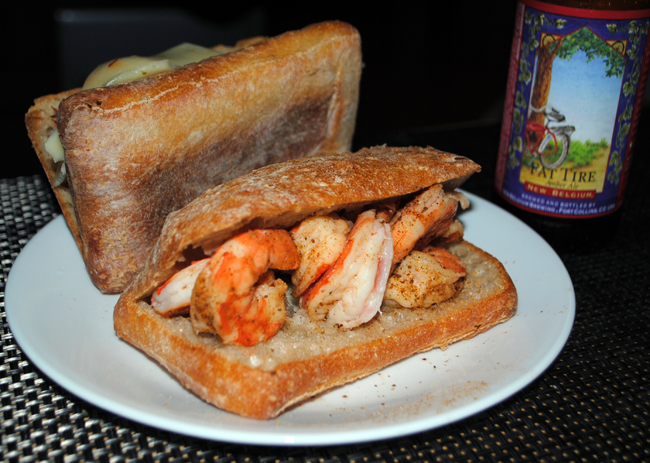 Here is a look at my plate, I used lemon to dip my shrimp in. Verdict: Wow, these were really salty and I LOVE salt! Actually the shrimp were too salty. Won’t be getting these again. I’m making dinner as I’m typing away this post. Chili!